Las Vegas is a mixed bag – from extravagant, elaborate, expensive hotels and shops to rundown, tacky, poor regions. While the rich live the life of luxury, the poor seem to gamble all their money away. Travelling around Las Vegas is a unique experience. There are some amazing things to see which are mind blowing. However, there are also some aspects which are rather overwhelming and in a way made me feel little sad. I did not expect this at all. From the movies, I imagined Las Vegas to be a fun, exciting and thrilling city, which it was but there was something else to it – something that struck a cord with me. I can’t quiet put my finger on it. While initially all the lights and glamour were appealing, the more I thought about it the more obscene it was. While there were these humongous buildings there were many homeless people in the Vegas suburbs. The vast inequality in wealth is so unjust. Not to mention the way girls are paid to walk around practically naked. Nonetheless, visiting Las Vegas was a great experience. I did really enjoy looking around, people watching and riding the rollercoasters. It was great fun to explore and experience the night life too. -Get a three day bus pass – the strip is four miles long, so getting a bus is the best way to see as much as possible. -Look into discounts and vouchers before you go, there are lots knocking about. -Stock up on supermarket supplies, there are no good food shops in Vegas and eating in the restaurants gets expensive and unhealthy. -Bring some warm clothes it gets cold in the evenings. -Set a gamble limit – don’t expect to win anything, just do it for the experience (that way you will be pleasantly surprised if you win and not too disappointed when you lose). There are some good deals so shop around online and see the best price you can get (booking.com is good) . Circus Circus is usually expensive but we got a great deal. It was in between the strip and down town, so well located. 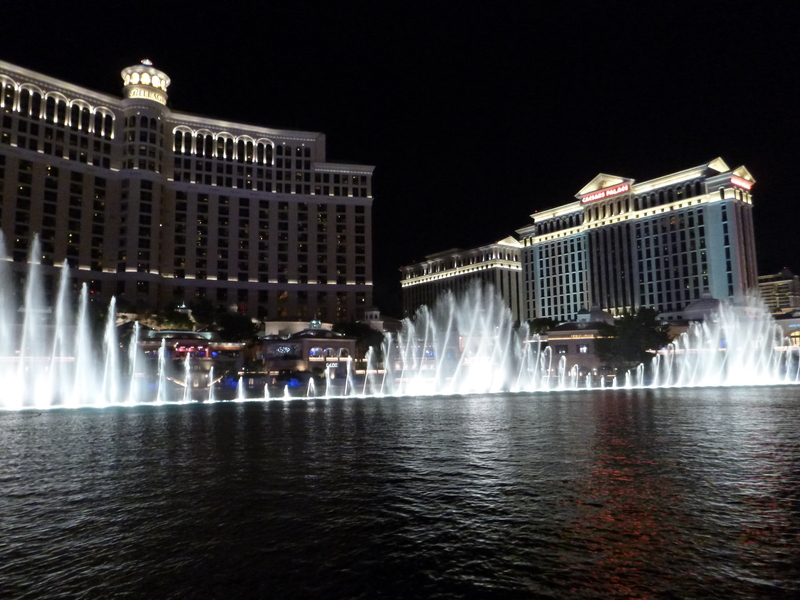 Flamingo is reasonably priced and in the middle of the strip – good location. Go for Cesar if you want to splash out – this hotel was luxurious. How long should I plan to stay in Vegas? A long weekend is more than enough. Leave one night to explore the strip and one night to explore Freemon Street and you will be good to go. Vegas is an intense place to stay, lots of fun but full on so I think a couple of nights is just right.